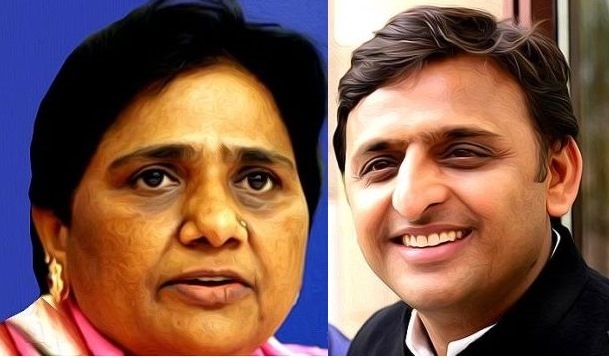 Lucknow: The much awaited Mahagathbandhan of BSP and SP was announced here on Saturday by Mayawati and Akhilesh Yadav. In a crowded press conference here, Ms Mayawati and Mr Yadav informed that the alliance will contest 38 seats each with leaving 2 each for smaller parties and Congress even blaming the Congress and 'equating' it with the BJP. Both Ms Mayawati and Mr Yadav minced no word to criticise the BJP and termed their 'new friendship' as a 'natural alliance and as it was required' to save the country and countrymen.